If anything can be said about Krypton, it’s that aside from examining Superman’s home planet from a different angle, the young DC series is serving up overdue adaptations of characters that lovers of comics have come to know for years. I mean, James Marsters was awesome as Brainiac over on Smallville, but seeing Blake Ritson appear as though he stepped right out of a book illustrated by Gary Frank caused me to seriously geek out. 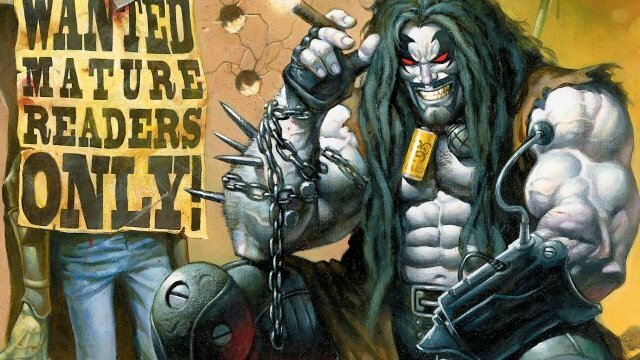 Joining both the visually revamped Collector of Worlds and Adam Strange on the list of boxes being checked off is that of Lobo, who’ll soon be making his live action debut. Truth be told, it’s great that a TV show stepped in to do this because, as you may know, there’s been much difficulty in getting him on the big screen. Granted, movies are a vastly different realm, but DC has had a far better track record on TV in recent years. Playing the Czarnian bounty hunter will be that of Emmett J. Scanlan, whom you may recognize from his time spent on NBC’s Constantine as Jim Corrigan. And considering how he was never able to play the Spectre side of the equation, it’s nice seeing him getting the opportunity to portray someone else from the DC pantheon. Aside from knowing that the brute will recur on the SyFy drama, not much else has been confirmed at this point. Still, it’s probably likely that the classic look will be utilized, as opposed to the controversial “Lipstick Lobo” native to the New 52. Though Krypton‘s second season has yet to be granted a premiere date, The Hollywood Reporter tells us it’ll “expand beyond Kandor to other planets as Doomsday is unleashed. The Superman prequel will also delve into the origins of Brainiac and get a better sense of the true threat the character poses,” so stay tuned as more info surfaces.